Legislative drafters aren't supposed to leave the language of the law ambiguous. But sometimes they do. 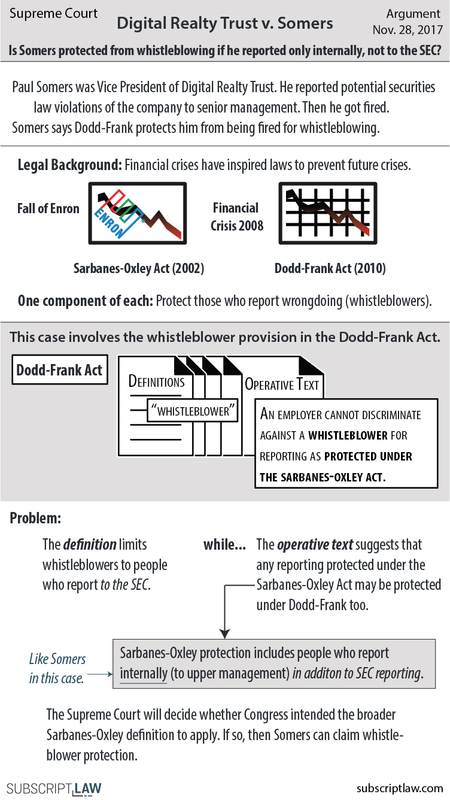 This case is about the Dodd-Frank Act. The text might signify two different meanings for the same word: whistleblower. Our one-pager explains the issue in Digital Realty Trust v. Somers.